Food insecurity affects a lot of military families—as many as one in four. Military families are able to access various federal nutrition assistance programs, and many rely on these programs to make ends meet and put nutritious food on the table. In practice, far too many military families find themselves ineligible for such assistance because the way military compensation and allowances are considered. The Military Hunger Prevention Act was introduced, if passed This bill excludes the value of a housing allowance for a member of a uniformed service from any income, assets, or resources calculation for determining eligibility for the supplemental nutrition assistance program (SNAP, formerly known as the food stamp program) and the family subsistence supplemental allowance program. 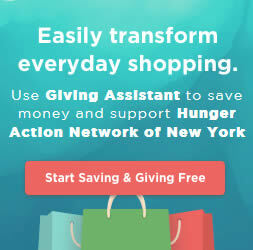 Leading the effort to understand the scope of hunger, and solutions to address it, NYHAN supporter, Mazon has found clear evidence of widespread reliance on food pantries and distribution programs on and near military bases; in fact there are food pantries operating on or near every single naval and marine base in the United States. Operation Homefront an organization that offers financial and food assistance to service members, said that requests for food assistance have tripled since 2008. Military members are often stationed in areas that have a very high cost of living, such as Southern California, Washington, D.C., the Eastern Seaboard, and Hawaii. Financial literacy especially for young people who entered the military right out of high school have never had to manage a budget. Veterans have made great sacrifices for our country. They have protected and served the nation, yet many return home and struggle with poverty and economic insecurity. There are roughly 22.5 million veterans in the United States—many above the retirement age—and more than 1.4 million of them are living in poverty. Of veterans between the ages of 18 and 34, 12.5 percent are living in poverty. 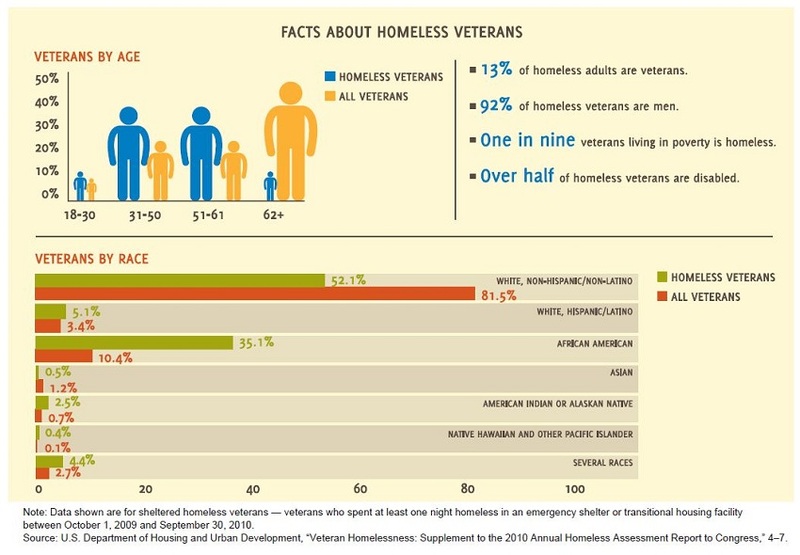 More than 50,000 veterans are homeless on any given night in America. Homeless veterans from the Vietnam War era outnumber the soldiers who died during that war, according to Veterans Inc.
One in three homeless people in America is a U.S. military veteran. Nearly 3 million veterans and their families don’t have enough to eat each month. Some 1.4 million vets are considered at risk for homelessness stemming from substandard housing, poverty, and lack of help from family or social support networks. Veterans face a shortage of affordable housing and difficulty in obtaining health care. About 2.8 million Americans have served in uniform since 9/11, and an estimated 200,000 are unemployed, according to government numbers. Many veterans that find work are in the retail, security, manufacturing, warehousing, and the food and beverage industry, sectors which often pay minimum wage. When service members return from active duty, they’re more likely to face severe financial challenges than civilians. 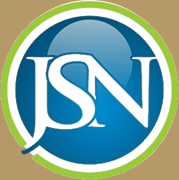 According to a recent survey carried out by the National Foundation for Credit Counseling, Vets are almost twice as likely to carry some credit card debt from month-to-month (58%) than civilians (34%). Even minor financial issues can spiral into bigger problems for veterans. Military veterans who report having relatively minor financial problems, such as bouncing a check or going over their credit limit, are four times more likely to become homeless within the next year than veterans without such problems, according to a survey of 1,000 Iraq and Afghanistan veterans published in the American Journal of Public Health last year. Post-traumatic stress disorder, known as PTSD, and substance abuse contribute to problems that lead to homelessness or risk of homelessness for veterans. Community-based groups and programs play a big role in returning vets to a normal lifestyle because government services are limited or at capacity. Money and resources from the government are also limited.